Penang is a great place to stay, be it as a retirement home, a place to relax and raise a family. It is famous for its food (especially street food), cultural diversity, friendly people and nice beaches(for walking on the beach). For those who are retired, it is a place where low cost-of-living intersects with modern healthcare facilities. It is also a place where people can seek alternative healthcare with ease. For those who intend to raise a family here, we have good private schools and the environment is conducive for bringing up a family (low crime and uncluttered environment). Penang has a large and diverse group of foreigners staying here. We have communities of Australians (including ex-servicemen), British, Japanese, Koreans, Germans, French, Danish, Americans and Canadians. If you want to mix around with locals instead of your fellow countrymen, the locals will be more than happy to accept you into their community. You need to visit Penang in order to appreciate it. It cannot be described through words or photos on a webpage. A majority of tourists visiting Penang returning guests and many of them visits Penang on an annual basis. Visit places of interest, historical sites and heritage buildings. There are so many that you need probably 2 weeks just to visit all of them. Interact with local people. They are helpful and friendly.Be part of the community. You will be socially accepted by them. Visit the wet market, a place where locals interact socially. Travel to other parts of Malaysia and make more wonderful discoveries. Travel around South East Asia or Asia for that matter. Help out in the local charitable organization. Relax and indulge in various forms of recreation and sports. 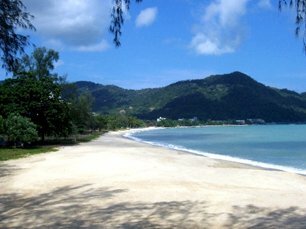 Retirement in Penang brings to the table a plethora of benefits. The standard of living is high but not expensive. A decent meal for a person at the food court, hawker center or coffeeshop costs RM5. An excellent meal for two at good restaurants costs onlyRM50. High end and classy restaurants will charge you about RM180 for two. Cooking at home is relatively cheap. For a family of 4, you need to spend only RM600 per month. Parking is cheap at RM0.80 per hour by the roadside or RM2 per hour in parking garages. With such benefits, Penang has become one of the leading destinations for all seeking retirement in Malaysia. Penang has the facilities of a modern city. Hospitals and healthcare centers offer good medical services (no waiting required). Universities, colleges and international schools are available in Penang too. Penang has a good airport too. Arts and performing centers are available to those who are interested in it. Telecommunication is excellent and cellular services coverage is wide and data transfer is relatively fast. Penang is just 55 minutes by air from Kuala Lumpur International Airport (KLIA/KLIA2). Promotional airfare by low cost carrier from Penang to KLIA starts from relatively low prices like RM29 per trip. There are direct flights from Penang International Airport to Singapore, Bangkok, Jakarta, Hong Kong, Taipei and Guangzhou. Be it a business trip or for a vacation, Penang is a great place to be your "home base". Penang has a lot of property for acquisition and investment, condominiums resorts by the sea, large bungalows and terraced houses. One can find any type of property to suit his taste and budget. Investing in Penang can be a good choice as the rate of appreciation in the property is quite desirable (though it is still susceptible up and downturns). Food – generally street food is approximate RM5-8 per person. Normal restaurants (any type) is around RM20-40 per person. High end restaurants will be around RM100 per person. Home cooking is cheap as you can get fresh produce from wet markets or supermarkets. You can find the ingredients you need from the wet market or supermarket but you will not be able have a lot choices (i.e. 4 different brands of mustard instead of 20 in your home country). Broadband – you can choose from many different providers (depending on where you stay), be it wireless (4G), copper or fibre optics with speeds ranging from 384kbps to 100Mbps. It starts from RM50 to RM250 per month. Cable TV – one provider only, Astro and it starts from RM50 per month and max out at RM250 per month. Astro provides internet connection as well. Electricity is RM0.218 per kWh for the first 200kWh, RM0.334 for the next 100kWh and RM0.516 for the subsequent 400kWH. You can check out their latest rates at http://www.tnb.com.my/tnb/residential/pricing-and-tariff/tariff-rates.html. For a retired couple who lived high up in an apartment where there is a nice breeze, their electricity bill is usually around RM150 per month. Water – Ridiculously cheap in Penang as we have a good water management system and plenty of rainfall. Normally our clients pay minimum charge at RM2.50 per month. For the first 20,000 litres it is RM0.22/1000 litres. You can click on www.pba.com.my for the latest updates on tariffs. Apartment maintenance charges varies from with properties and it will be borne by the landlord. It is generally around RM0.30-RM0.50 per square foot. Sewage is RM8 per month and it is a borne by the landlord as well. Municipal Assessment fee, in which the owner of the property pays for the refuse collection, street light, etc. This will be borne by the property owner. It is not expensive and for a 1200 sqft house (land area), it is about RM350 per year. If you are interested to know more, you can click on http://www.mbpp.gov.my/en/web/guest/perkhidmatan-penilaian-harta. Land tax which will be borne by the owner. The amount is negligible at around RM300 (1200 sqft land area) per year. Rents start from RM1500 fully furnished for a small apartment (800 sqft) in a nice location. Normally our clients will pay around RM2500-3000 per month for a moderately-sized fully-furnished apartment (1200 sqft). Cars – with a tax-free car, you will get approximately a 25% off the normal prices. Petrol prices varies according to the prices set by the government and it is prices per litre (not gallons). Parking is cheap at RM0.80 per hour if parked at municipal car parks or by the road side. Parking garages will cost you around RM2 per hour. 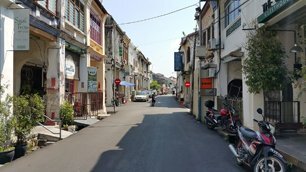 Just do an internet search on “Penang retirement” and you will see that for the last 5 years, Malaysia or specifically, Penang is ranked within top 10 as the world’s best places to retire to. There are many news agencies, magazines and organizations compiling statistics and data and you can read any or all of them online. All these factors make staying and retirement in Penang stress-free and filled with quality lifestyle. Top 10 Retirement Haven 2012, 2013, 2014. Their 2015 version is OECD-centric (i.e. retire in Europe, NZ, Japan, Australia). 2017 is not available yet. Their 2012 version is OECD-centric (i.e. retire in Europe, NZ, Australia). 2017 is not available yet.